this post first appeared zelda & scout on 10/24/14. I went to Providence a couple weeks ago. I spent four very happy college years there and still have a lively cohort of friends who have stayed on for one reason or another, so with my first weekend day off in many moons I decided to pop up for a visit. 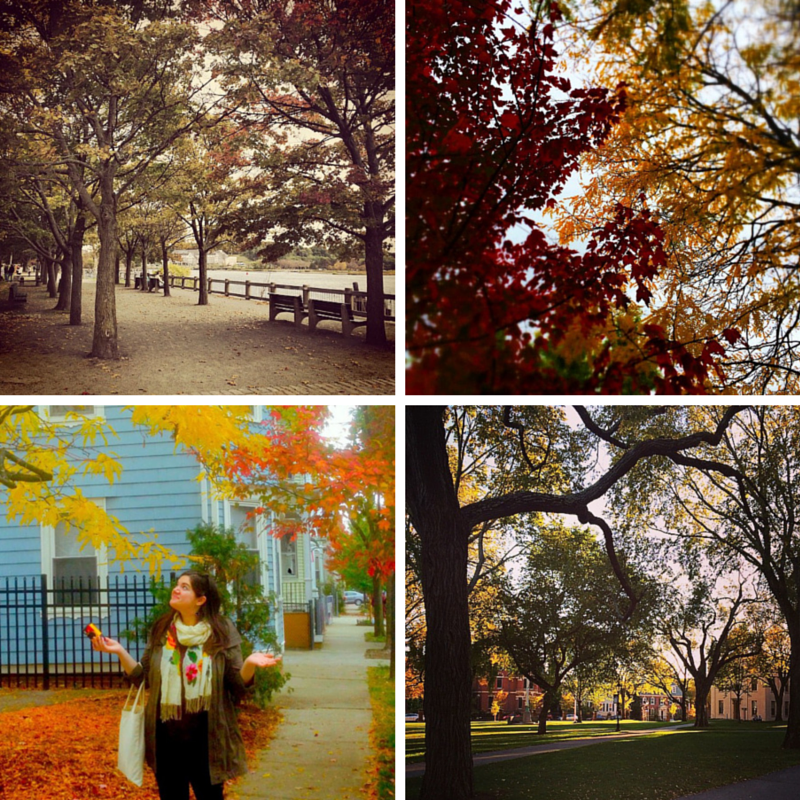 October in Providence is a magical time, a textbook perfect New England fall. It’s by far my favorite time of year on campus; the achingly brilliant leaves against the brick buildings looming over greens sprinkled with bescarved students is so damn charming, it’s like living in an admissions catalog. Due to two rather ill-timed broken feet, I missed out on much of the fun of my freshman and senior falls, so I was extra excited to go back for this little autumnal getaway. Fate, and my metatarsals, had cheated me, and I was owed some fall festivities. It was a perfect weekend, crisp and clear and full of good friends and good food, wandering familiar streets and lounging on the green. While New York has been dragging its feet on this whole fall business — stuck in a perpetual, can’t-decide-what-season-it-wants-to-be middle ground of tepid temperatures and decidedly Southern humidity — the foliage was out in full force in Rhode Island. A friend and I spent the afternoon meandering up and down the cracked sidewalks of College Hill, marveling at blazes of color, both arboreal and residential (for a New England town, the historic homes of Providence run much more Key West than Plymouth Rock when it comes to paint colors). I was giddy, brimming with nostalgia and reveling in the perfect weather in this place I love. I’m naturally a pretty enthusiastic person (the word bubbly has been used to describe me on more than one occasion), and this weekend had me in a particularly heightened state of gushing bliss. A lot of it was nostalgia, greeting once intimately familiar streets like old friends. Then there was the perfectly perfect weather, and lots of hugs and snuggles and bookstore browsing and late night conversation. One friend accused me of being tipsy, chalking my ebullience up to one too many G&T’s. But as I sat on the bus heading back to Brooklyn, I thought there must be something geographical to it. My college, at least when I attended it, was ranked as the happiest school in the country, and it was a frequent topic of conversation among me and my classmates. While it’s true that none of us were happy all the time — particularly during finals or the housing lottery we were prone to poke some good natured fun at the ranking — in general, we were all pretty thrilled to be there. Even buried under papers and buffeted by New England sleet, there was an underlying current of gratitude. We were happy because we knew we were lucky to be where we were, because we were surrounded by a community of peers who we admired and respected, and who were, by large, also happy to be there. This atmosphere of happiness made it easier to be happy on an individual level. After all, all the cool kids were doing it. And I think, for me, that this is the crucial difference between Providence and New York. Where my classmates were optimistic, New Yorkers are decidedly not. There seems to be a culture of dissatisfaction, an undercurrent of unhappiness that sours the everyday. There’s no easier way to bond with another New Yorker than by complaining — about the subway, about the weather, about the prices and the smell and the fact that the rent is too damn high. New Yorkers tend to be a solitary lot, projecting a patented “don’t mess with me” vibe when striding down the sidewalk or pushing towards a subway door, but nothing brings people out of their bubbles like train traffic or a signalling problem, the eye rolls and shared groans the first sign of the ride that yes, we are all humans doing an activity together. Even those who are, by societal standards, successful, aren’t content. If you’ve got a great job, you complain about your apartment. If your apartment is great, you complain about your love life (or lack thereof). If you’re in a great relationship, you complain about work. The cycle is vicious, and unending. The popular lexicon can often be used as a barometer of public morale, and here in the Big Apple it’s cool to be sad, to be so fed up and over the daily grind that you “can’t even.” To express unabashed enthusiasm and giddy optimism for your life, outside of a drunken flight of fancy, is seen as immature, or as a big red flashing sign that you aren’t from around here. This is Pessimist City, and you do not belong. Now I enjoy a good vent/bonding session as much as the next girl, and lord knows I complain (I mean, I live on the L, so really, can you blame me?). But I find the perpetual negativity exhausting. The complaining in New York seems harsher than the complaining back home, blunter, and with no hope of a silver lining. Where once I considered myself a generally happy person, skilled at navigating life’s hiccups with a positive spin and satisfied with where I was and what I was doing, now I’m not so sure. Sure part of it is probably due to my dreaded status as a millennial 20-something, thrust out of the cocoon of college into the cold harsh reality of a dismal job market, with years of “Follow your dreams!” mantras leading to a not-so-slight panic over my inability to pinpoint just what those dreams are. 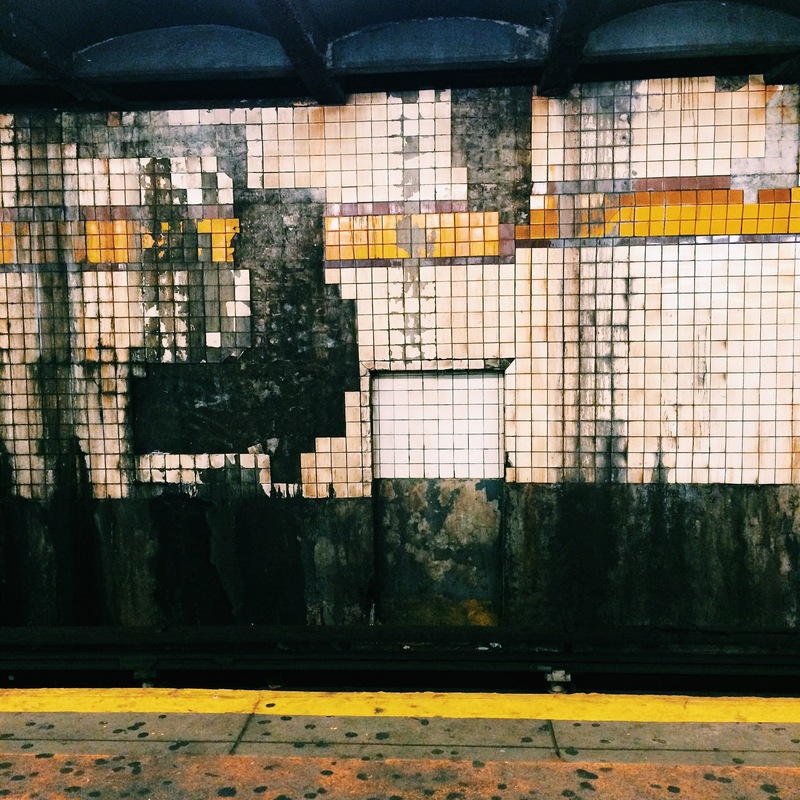 But I think a large part of it is New York, a cultural mindset embedded deeper than the subway tunnels. It’s often easier to be happier when you’re surrounded by positive energy and people, but when every interaction of your day is tinged with dissatisfaction, it wears down even the bubbliest of optimists. I think it’s why my life here feels so temporary: Even if I managed to achieve the New York trifecta (job, pad, mate), it still wouldn’t be enough. And that’s how I know I can’t stay.